Many will have bought, used and owned drawstring bags from our time at nursery, school and college but those are not its only uses. Gym bags have become an established fashion accessory for older target groups with their increased wear by adults and practical use. In the allbranded online shop you will find a wide variety of gym bags, whether equipped with handles or shoulder straps, the promotional gym bags can be used for trips, hikes or the gym. Design these on allbranded online with your company look, logo and slogan. Make use of the wide range of colours we offer as well as the specific decoration options provided, catered to meet your vision. Want to target a more professional audience? Check out our printed business bags to get the job done right! The fashion accessory not only scores well with its stylish look through cotton-use but also with the high practical everyday use, lightweight and compact as well as great in terms of storage space. 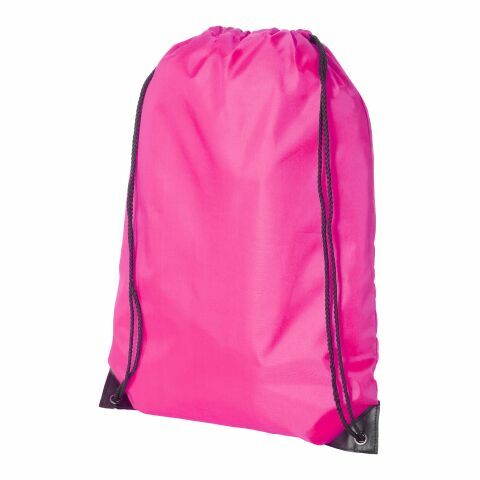 As a real eye-catcher, the drawstring bag is currently amongst the trendiest items in the advertising media. Simply put, they make a statement with eye-catching imprints, whether on the street, at trade fairs or in the office! With this promotional product, your logo is omnipresent, much like the potential effect of our range of keyrings, pens, mugs, umbrellas, and usb-sticks. WHY CHOOSE THE BRANDED DRAWSTRING BAG? For every target group and every occasion, these are promotional products that fit particularly well. Branded merchandise can be used in almost any chosen context and if done right will bring a generous return on investment. They integrate very well into sporting events and social situations of the target group. As an advertising article, promotional bags are therefore very effective when used at the right moment and speak wonders about your brand. 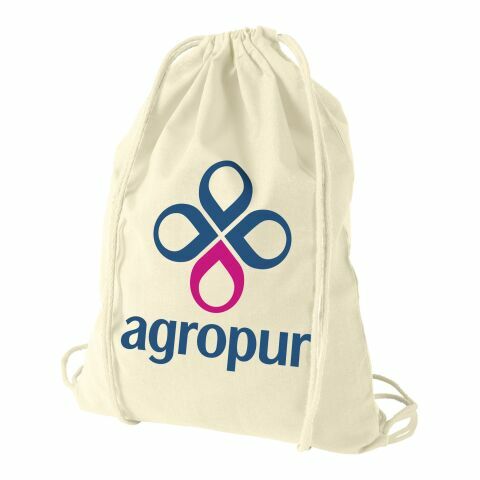 Printed bags, like the eco-friendly drawstring jute bag, are amongst the most popular advertising items in the UK. Customers are delighted with the printed, eco-friendly gym bags because they have both commercial value as well as aesthetic value. Additionally, they enrich sport events like no other advertising product on the market today and serve as merchandise for World Championships, European Championships and the Olympic Games! Gym bags have a strong, eye-catching advertising space. Since they are worn by their owners at eye level, this advertising medium not only has a positive effect on the wearer but also wins the attention of anyone around. These generate brand impressions for your company and thus increase the popularity of the services and/or products you offer. Furthermore they contribute to binding customers, employees and business partners to your company, because even in the case of advertising products, the philosophy of "Gifts revive friendships" applies. With small gifts such as our printed pens, mugs, keyrings and bags, distribution items or giveaways, make your target groups feel important and appreciated using quality and colour. At the present time with the variety of brands, it is precisely these gestures that are crucial for a purchase. Individualise in your corporate design, and stimulate awareness and reaffirm the relationship of your company with its workers through attention, strength and originality. The printed drawstring bag is clearly a sporty promotional product. They are available as cheap distribution articles as well as high-quality advertising gifts. We recommend gym bags among other accessories such as our keyrings, pens, mugs, umbrellas, rucksacks, lanyards and usb-sticks, to stay in touch with a younger target group. How about personalising the gym bag for particular sports events such as competitions, marathons and worldwide championships to support your favourite teams or individuals? Similarly, these high-quality, robust drawstring bags are suitable as gifts, for example for Christmas or birthday occasions. In the online-shop of allbranded you can personalise promotional products. With us the quote "you name it we brand it" summarises our services to a tee and pens it in. So each promotional item can be printed or embroidered according to your wishes and colour preferences. From a variety of colours and printing technologies we create your unique advertising media. So you choose the perfect promotional product designed in your company look that steers the attention in a one-way direction to your company. Gym bags with your corporate design provide high recognition value and will accompany the gift recipient for a long time.